Our mechanics make house calls. Book car maintenance online 24/7. Louisville Slugger with email signup! Shop Smartphones at Smart Prices - Samsung Certified Pre-Owned Galaxy S5, Galaxy S4 and Note 3! Portland, OR 12/12/2015 Northwest Independent Baseball League 7th Season starts April 25th with games at Sckavone and Walker Stadiums with 11 to 14 games a week played at Luke Jensen Vancouver, Glenwood Vancouver, Volcanoes Stadium, Keizer, Tualatin Hills Recreation Center, Jackson Field, Fowler Field, North Marion HS, and Sckavone Stadium, Come support your team. Over 200 games played so see some of the best local baseball players form the Portland area. NWIBL.org is offering free admission to all league game this year except games played at Volcanoes Stadium, so bring out the family and see top notch semi-pro baseball. See the Schedule for game times and playing fields. 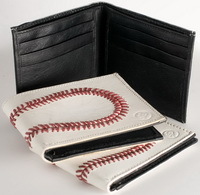 Direct Sports Everything You Need for Baseball and Softball! Earn 5% Cash Back for your Baseball Team. Join The RampageBucks Team Loyalty Program Now! Serious Gear for Serious Players at HomerunMonkey.com! Sign up for FALL Baseball Now!!! if you need a player.